His Story: The Red Baron is a personal favourite of the ranch. He is unique in every way and with his Blagdon colouring which is distinctive and simply remarkable. 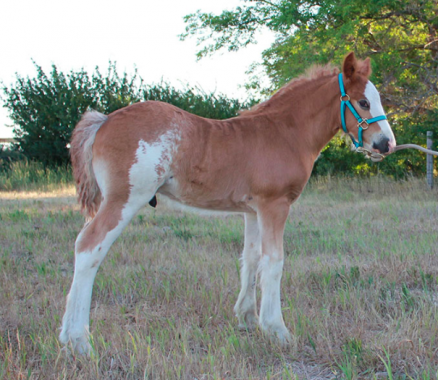 This was North Fork’s Rorschach’s very first foal and he is amazing! We are pretty excited to have Violet in foal to another of his babies due in 2017! In North Fork’s eyes, he is flawless in every respect. and we are honoured and blessed to have him in our soul mate program. Gelding him was a very difficult decision, but we know he will make someone very very happy. He is the true vision of the perfect soul mate. We expect him to finish at about 14.1hh. Click Here to See Red Baron’s Videos!